I'm considering buying a lot in a development. The deed restrictions state that if lot owners want to put up structures including hedges, walls, fences, and clotheslines, they must submit a detailed description of the proposed structure and "the grading plan of the lot" to the developer. The owner may not proceed until these plans are approved in writing by the developer "or his successors in interest." The restrictions "run with the land," which I understand means "last forever." There is no mention anywhere of these decisions ever reverting to the new owner or to any future Homeowners Association; there is no mention of an HOA at all. Can such a restriction remain in force even after all the lots are sold, and even if the developer doesn't even live in the development? If so, does this mean that in a worst case an owner might never be able to put in a fence because the developer doesn't get around to approving it in writing, or might be allowed to install only prohibitively expensive fencing? Following this to its logical extreme, does this mean that 50 years from now, a future owner wanting to plant a hedge has to find the "successor(s) in interest," send the plans to the successor, and await written approval? This situation seems very odd, especially if the developer doesn't even live in the development and no longer owns any of the property. Is this situation common? Does it generally work out well for everyone concerned? Can a lot owner or group of owners in a development ever obtain the right to set its own restrictions? Thanks for any insight you can offer into this! Editors Reply: We must apologize for overlooking your question when you originally asked. We try not to do that, but sometimes technology, forgetfulness, and the challenges of coordinating a multi-author site get the best of us. It's probably too late for our visitor, but we decided the question had enough merit and general applicability that we would give an answer. If any of you are faced with a similar dilemma, our first piece of advice would be to consult an attorney, preferably the attorney who drafted up the original deed restriction, if that person can be found. As usual we try to give you some things to think about to make your consultation with a lawyer faster, cheaper, and more efficient. To answer the first question, yes, the deed restriction can and usually does remain in force after the last lot is sold, and also whether or not the developer lives in the finished development. Covenants imposed by a deed restriction indeed run with the land, meaning that ownership turnover does not change or affect them. Usually they last forever or until changed, although states or the covenants themselves may alter that. This situation is more common than one would think. Whoever drew up the original restrictions should have specified exactly what happens when the developer no longer owns any lots. In fact, it is more common to say that when half of the lots have been sold, or another percentage, a homeowners association is automatically created. That did not happen in this case apparently. So the first question we should ask ourselves is who the successor in interest is, if the developer truly does not own anything in this development. To our original site visitor who asked the question, we would suggest double-checking to make sure there is no common ground or private street set aside in the development; if there are such things, who does the master deed say owns these? If you cannot figure this out, ask your city or county government. If there is no common ground, street, lake, golf course, and so forth, and the developer no longer owns any lots, then we would say that the successors in interest are every one of the current owners. Here be sure to consult an attorney licensed in your state to make sure there are no unusual wrinkles in state law. So if we as mere planners are right about this, then you have the extremely unwieldy situation of having to ask every single property owner for permission to plant a hedge. That is crazy enough, but then think ahead 20 or 40 years when probably every single lot would be owned by someone who did not purchase from the developer. 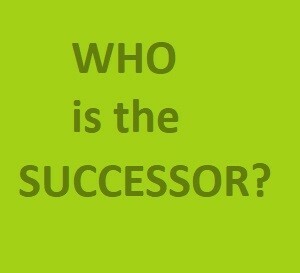 The picture as to who is the successor in interest becomes even more murky as time goes on. To answer another question posed to us, no, this generally does not work out well. At some point it has to be corrected. The good news is that with time, energy, and money for legal fees, eventually a motivated group of owners can go to court to request that a solution be worked out. The outcome, and whether it will be what the majority of the owners want, will be highly dependent on the individual judge and that person's skill at coming up with great solutions. State law also could be pivotal. There is quite a remote chance that you will be able to motivate your city, county, or township government to take an interest in this situation. It is worth investigating the language used when the development was approved. All governments should have an attorney that they use on at least a part-time basis, so it is reasonable that a group of you ask the government to weigh in on whether they can do anything to resolve this impasse. We use the word impasse deliberately, because this is often the result when deed restrictions are not properly drafted to address inevitable situations. Just as a side note, this situation is an argument for local governments exercising their prerogative in most states to require that proposed covenants for new developments be submitted and reviewed as part of the development review and approval process. Such an error probably would have been caught at that stage.